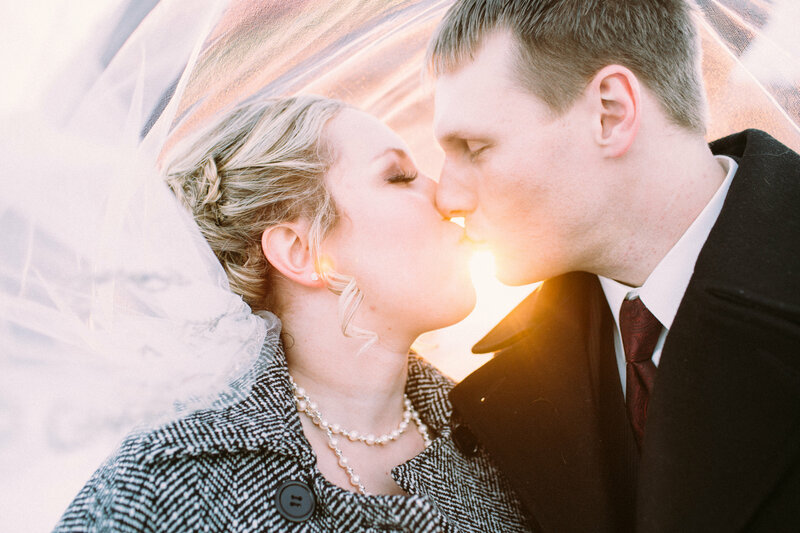 Ali & Dustin came to Bride Support for full-service help with their Minnesota winter wedding. 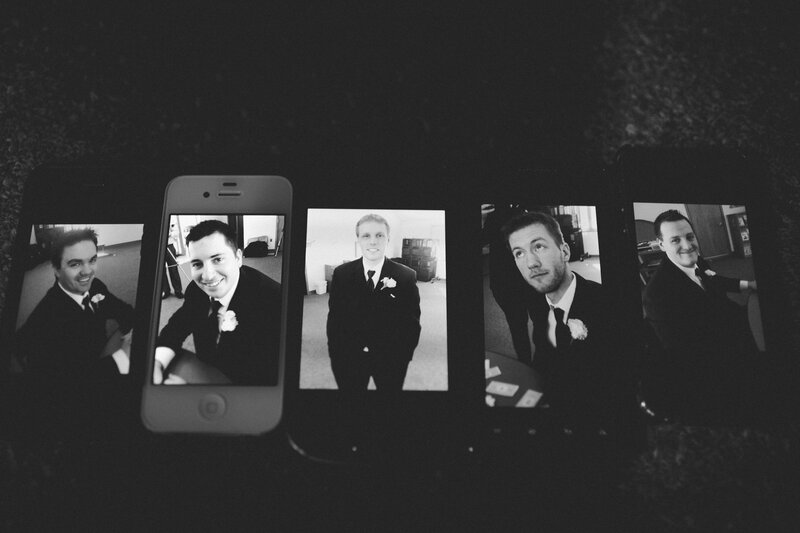 They were a blast to work with and the wedding was beautiful! 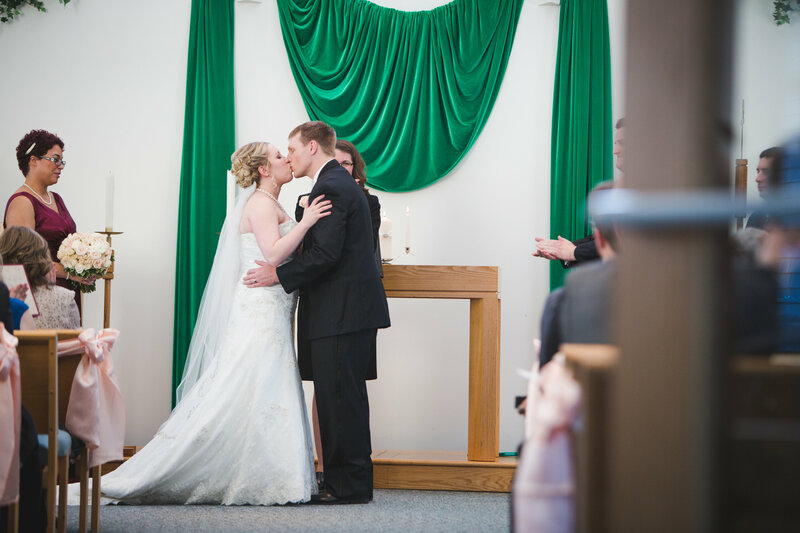 Guests joined together at the couple’s church in Shakopee to witness them becoming one unit through the vows they promised to each other. 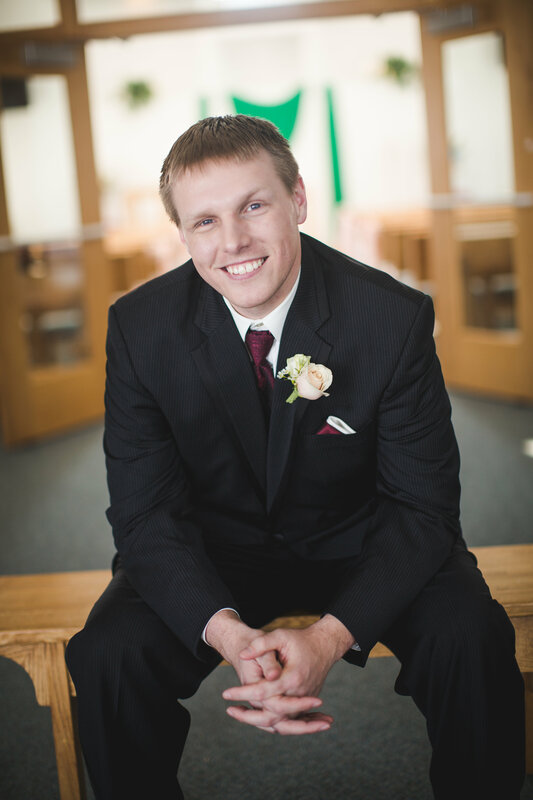 With the beautiful guitar stylings of Timothy Howe and a upbeat recessional dance – the ceremony was sweet, meaningful and fun. 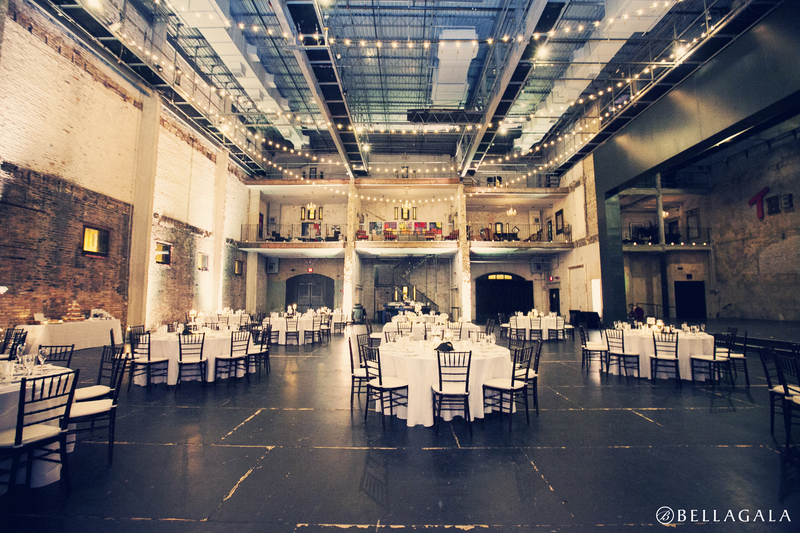 The couple then greeted their guests at the reception venue – Turtle’s Social Centre – for the party! 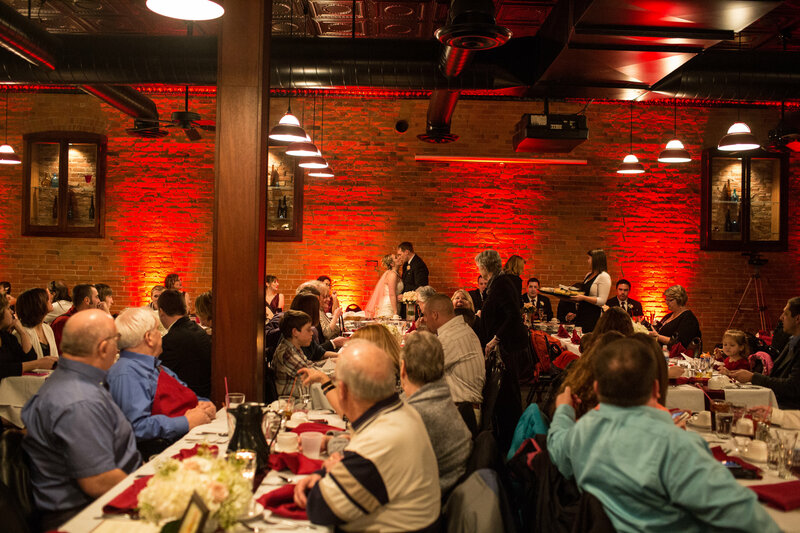 The couple had named each table after a part of Italy (where they were soon to honeymoon) – along with fun facts and some beautiful centerpieces. The guestbook was a unique one – some cartoon drawings made by a friend that guests then colored in and wrote notes on. 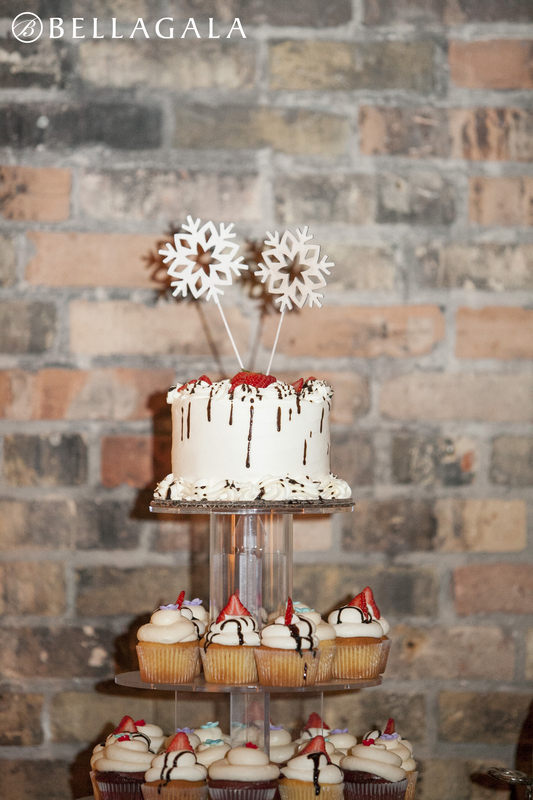 There was a photo memory table of loved ones and a gorgeous cake, as well! 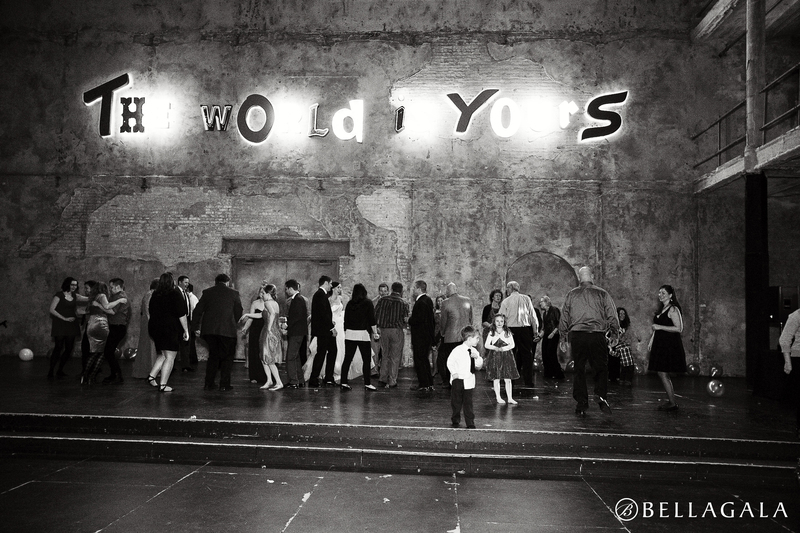 Guests were wined and dined and then partied all night! What a great group of family & friends this was – who traveled from near and far on one of the worst winter-driving weekends I can remember in a long time to be there with Ali & Dustin. 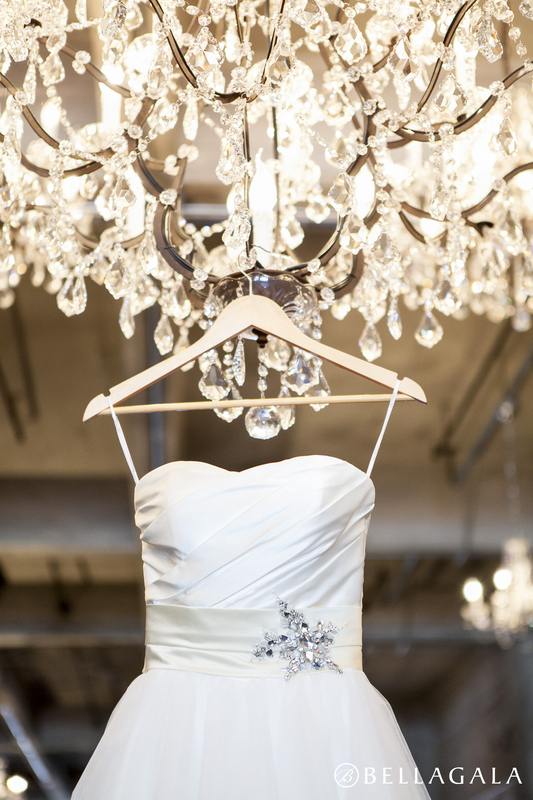 “Meredith of Bride Support was hands down the best investment I made while planning my wedding. I could not have done it without her. 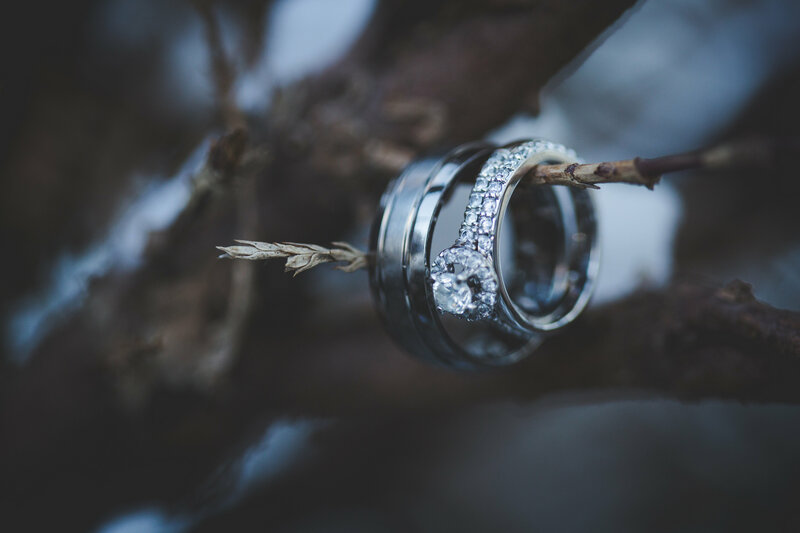 I went with the (full-service) package which may seem like unnecessary expense to some but you get your investment back in regards to keeping your sanity as you can have he tpeace in mind that Meredith has it handled. I was never more thankful for Meredith than the week leading up to my wedding as I came down with a horrible cold -as in laying in bed all day completely out of it. Because I trusted that Meredith had it all handled, I was able to focus more on making sure I got well instead of freaking out that I still needed to do X,Y,Z. 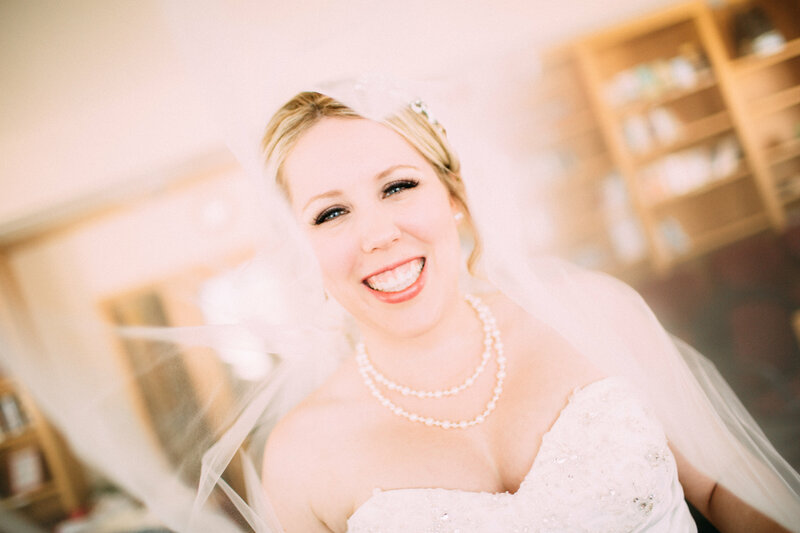 The morning of the wedding was also stress free for me as I knew that Meredith was working on getting the ceremony location and reception ready. 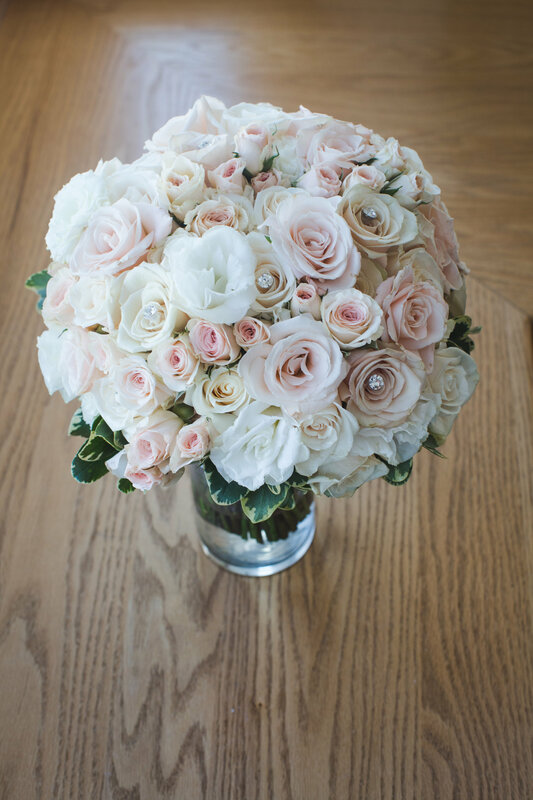 It is a wonderful feeling that you have someone who is completely on the same page with you regarding decoration so you don’t have to worry about having to explain to your vision to whoever is setting up that day and hoping they get it right. Meredith puts together a very detailed hand-out to everyone in the bridal party so that everyone is on the same page and allows the day to run as smoothly as possible (barring stuff that always comes up). 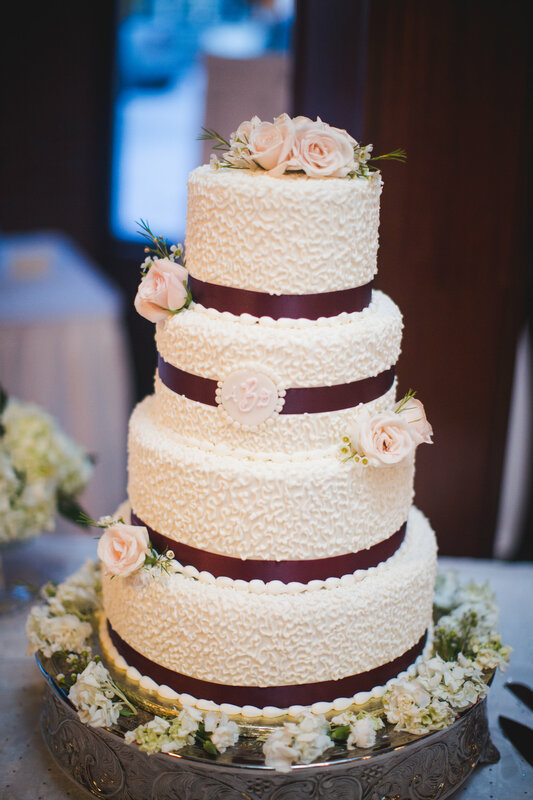 Based on how smoothly the day seemed to run to guests along with the amazing décor that Meredith helped me come up with we are still getting compliments on how wonderful our wedding was from our guests. 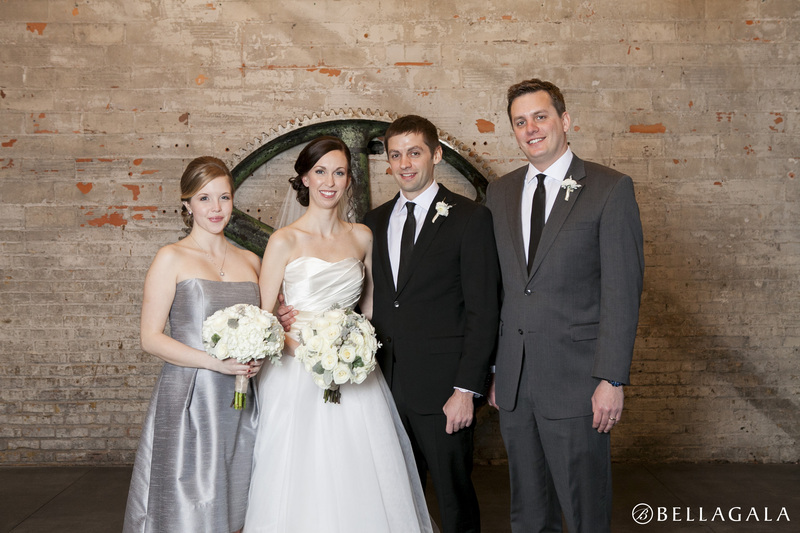 Sara & Robb were such a sweet couple to work with! 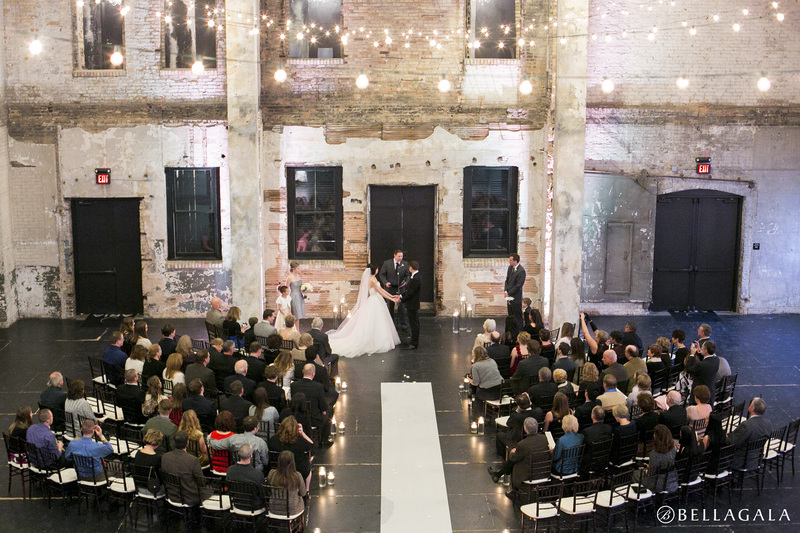 They hosted a glamorous wedding day at Aria that was beautiful in every facet. 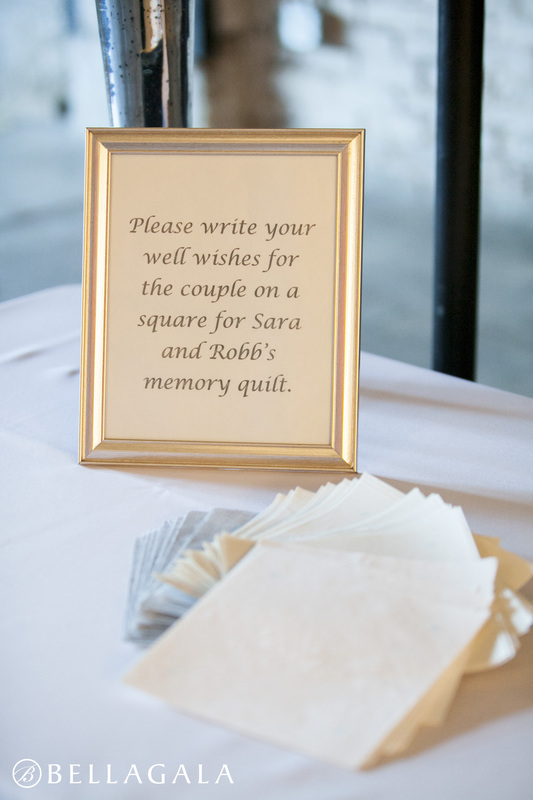 Guests arrived and signed quilt squares as a guestbook and then got seated for the ceremony. 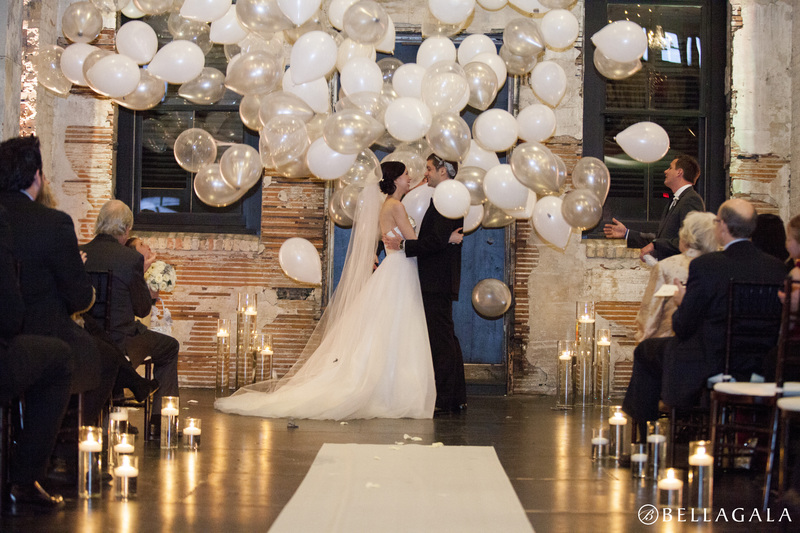 After a sweet and personal ceremony – the couple was announced man & wife and during the kiss came a balloon drop – what fun! Guests enjoyed the beauty of Aria during cocktail hour in the foyer and then were welcomed back into the main hall for dinner & dancing. 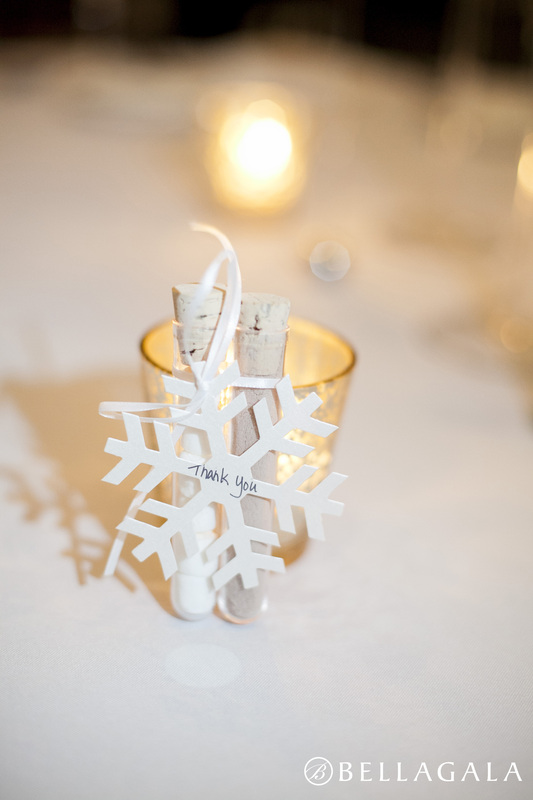 Guests were treated to a yummy dessert buffet after dinner and took home cute little hot chocolate favors put together by the bride. 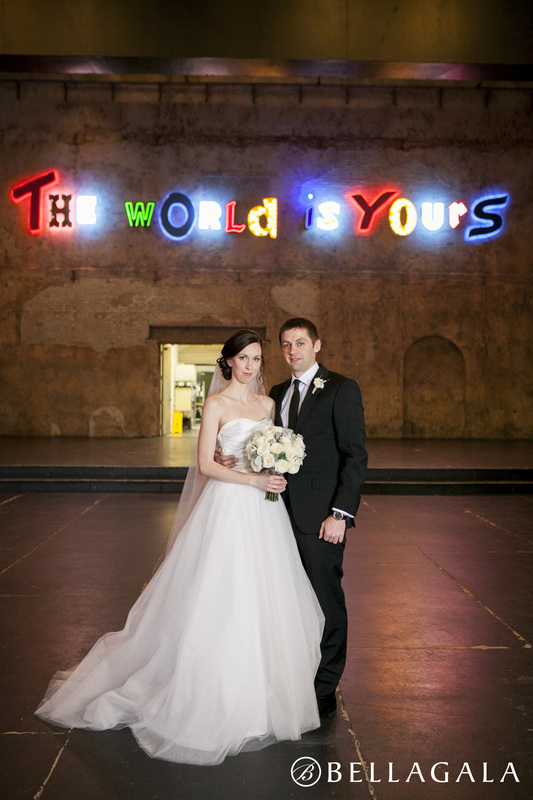 What a fun day – congrats you two!